Adam Carolla (born May 27, 1964) is an American radio personality, television host, comedian, and actor. 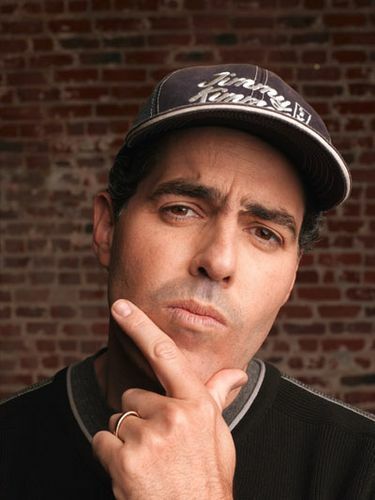 He hosts The Adam Carolla Show, a talk show distributed as a podcast which set the record as the "most downloaded podcast" as judged by Guinness World Records. Carolla co-hosted the syndicated radio call-in program Loveline from 1995 to 2005 as well as the show's television incarnation on MTV from 1996 to 2000. He was the co-host and co-creator of the television program The Man Show (1999–2004), and the co-creator and a regular performer on the television show Crank Yankers (2002–2007). He hosted The Adam Carolla Project, a home improvement television program which aired on TLC in 2005 and The Car Show on Speed TV in 2011.